Why is ofo Called ofo? ofo is known for being the first station-free bike sharing platform in the world and for their eye-catching yellow bikes. The company’s history and the story behind their brand name starts in Beijing. In 2014, 5 members of a cycling club at Peking University got together and brainstormed how best to share their love of cycling throughout the country and the rest of the world. The company began as a truly grassroots organization. ofo’s founders compiled a private registry of 2,000 bicyclers at Peking University which allowed people in the registry to access bike’s all across campus through their smart phones. The founders soon realized they had a hit on their hands when after 3 months, the program had spread to 5 other university campuses. They’ve also recently teamed up with Dutch designer Daan Roosegaarde to create a bicycle that will actually absorb and clean polluted air as it moves through the city. They’re calling this a “smog-free” bike and hope to get them out on the roads soon. Why is it called ofo? This brilliant attention to detail along with ofo’s commitment to becoming a globally accepted brand has allowed them to become the foremost bike-sharing company in the world with bikes in 17 countries including the US, Russia, Israel, the Netherlands and Kazakhstan. These kinds of globally-aware, environmentally-focused companies are exactly what we need as a society. Other brands could do themselves a favor by looking to this transportation innovator as a model for business success and positive social dedication. 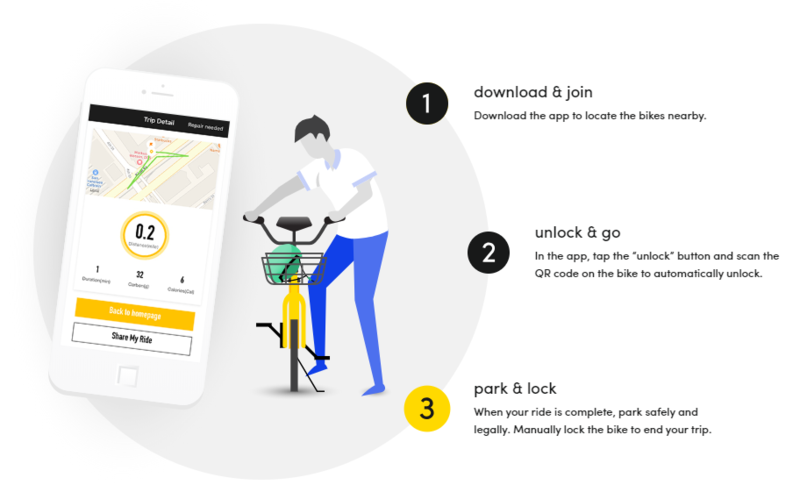 Have you tried ofo before? Tell us about your experience in the comments!